Oh Alita, what big eyes you have! It’s been eight months since we first got a glimpse of Robert Rodriguez’s Alita: Battle Angel, and even now, the top point of discussion around the movie has been Alita’s giant, manga-inspired, and very unsettling eyeballs. But the latest trailer has seemingly made some tweaks so that Alita’s cyborg shell looks a little less massively disconcerting. The new trailer is much more in-depth than the first, giving us both a ton of cyborg action and backstory on Rosa Salazar’s mysterious robotic hero Alita, who finds herself at the heart of a war over the future of cyborgs when she is revived by the mysterious Doctor Ito (Christoph Waltz)—leading to her discovering that there’s a lot more to her past than Ito is letting on. 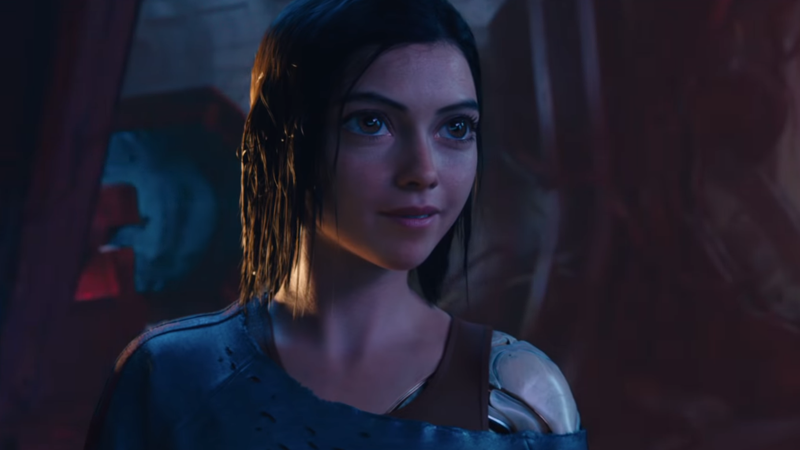 Given that the film is just months away at this point, it makes sense that this trailer is much more story-heavy than what we got to see last December, but it also definitely seems like the time Alita: Battle Angel has been off the grid has also been spent tweaking Alita’s manga-esque eyes, which in the realistic stylization of the rest of the film sparked a lot of blow back at first, mainly because, well, they look creepy as hell. They still do, kind of (maybe we’re desensitized to it? ), but it definitely feels like they’ve been tweaked a little bit, to maintain director Robert Rodriguez’s vision for the film while reducing them juuuust a little to make the effect less jarring. Alita: Battle Angel is out December 21.